Could Parkers' Best Pickup of The Year 2019 help you tow your race bike to the track? 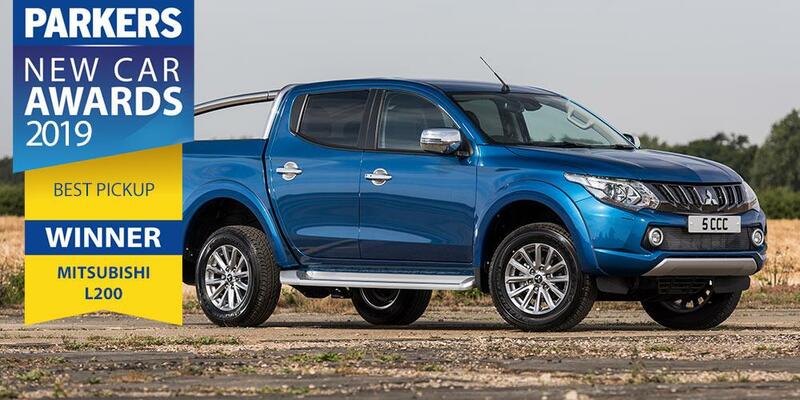 Parkers.co.uk (MCN's sister website) has chosen the Mitsubishi L200 as the Best Pickup in the Parkers New Car Awards 2019. The recently-updated pickup was praised for its excellent off-road ability and high value pricing, as well as its generous towing capacity. The L200 may not be the most luxurious offering on the market that’s now attracting the premium players, but it offers an all-round blend of capability and performance with very strong value. Its lightweight and compact build makes it efficient and speedy, standard equipment is generous right across the range, it’s great off road, good to drive on it, and a recent upgrade means it can now tow three point five tonnes, too. Parkers editor Keith Adams said: "The Mitsubishi’s overall win is a victory for good sense. After all, what pickup drivers are looking for above all else, is a vehicle that’s good value and fit for purpose. The L200 delivers both." The winning pickup has been tested rigorously by the Parkers.co.uk team, which judged the best cars on a combination of running costs, value for money, cost-per-month figures and fitness-for-purpose. The Mitsubishi L200 wins Best Pickup! It beat the highly-recommended runners-up, the Mercedes-Benz X-Class and Volkswagen Amarok, both of which have a great image, appealing to more aspirational, lifestyle pickup buyers. Keith Adams, Parkers.co.uk editor, added: "In the second year of running the New Car Awards, we’re excited to have come up with such an interesting selection of winners. We’ve applied what we know about what our users are viewing on Parkers, with the combined team’s century of editorial expertise. We’re happy to award the Mitsubishi top honours alongside MCN."